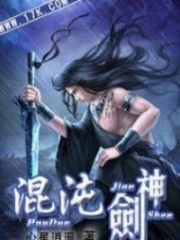 Read Latest Chapter : Dragon King's Son-In-Law Chapter 773 - Won’T Save Mortals?? Hao Ren, an ordinary university student, saved a little girl who fell from the sky. By accident, he swallowed a “candy” that fell off of that girl’s body and somehow became the Dragon King’s son-in-law…… His life was turned upside-down from that point on. There were dragons in this world? And they are living side-by-side with humans? Ancient Chinese Mythologies really happened? 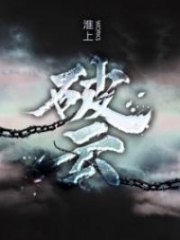 Hao Ren got to experience a new world that was hidden from ordinary humans. Despite the thrills that came with the new discovery, there were challenges along the way. 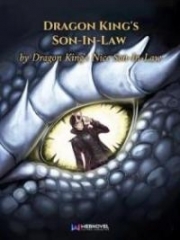 He thought his easy life as the Dragon King’s son-in-law was going to be chill and gucci, but conspiracies and undercurrents were coming his way. Chapter 773 - Won’T Save Mortals?? Chapter 771 - Godly Cloud Dao!!! Chapter 770 - Charging To Eighth Heaven! Chapter 766 - Kunlun Mountain!!! Chapter 762 - The Unpredictable Change! Chapter 761 - Crazy Dragon! Evil Dragon! Chapter 753 - Gaining The Upper Hand! Chapter 752 - No-Liability Agreement! Chapter 751 - The Pinnacle Battle! Chapter 750 - Choosing A Day For The Wedding! Chapter 749 - Consummate The Love…? Chapter 748 - Experiencing New Life? Chapter 746 - All The Men Are Perverts! Chapter 742 - Never Coming Out The Shrine! Chapter 741 - Who Can Save You?! Chapter 740 - Severe Offense! Chapter 739 - You Want To Catch Me?! Chapter 735 - Initiate: Seven-Core Five-Color Lotus! Chapter 732 - Eighth Heaven? Heavenly Dragon? Chapter 731 - Level 10… Demonic Core! Chapter 730 - Soul Formation!!! Chapter 729 - Sword Array! Seven-Star Big Dipper Array! Chapter 727 - Steal Or Trade? Chapter 726 - Seventh Heaven! Chapter 725 - 100,000-Year-Old Spiritual Herbs! Chapter 724 - Is This... Immortal Fruit?! Chapter 723 - Return In One Piece! Chapter 722 - It’S All Arranged By Fate! Chapter 720 - Working Against The Heavenly Dao! Chapter 713 - Three Against One! Who’S Victory?! Chapter 711 - Heaven-Reaching Tower! Chapter 710 - If You’Re Brave Enough, Then Come! Chapter 709 - Entering A Ancestral Dragon Palace Again! Chapter 705 - Fierce Beasts! Chapter 703 - Nine Dragon Palace - Appear! Chapter 701 - The Prince Circle? Chapter 695 - Belong To The Demon Sea! Chapter 693 - Duan Yao Is At The Nascent Soul Realm? Chapter 692 - Leveled Up! Chapter 689 - The Junior Beats The Senior! Chapter 685 - Time To Get Started!!! Chapter 679 - The Golden Shield Must Do Work! Chapter 678 - Level 4 Inspector! Chapter 674 - Target Is A Big Demon King! Chapter 672 - I Want Him Alive! Chapter 668 - Mind Array! Chapter 666 - Nine Big Demon Kings! Chapter 664 - When Will We Meet Again? Chapter 661 - Catching A Dragon? Chapter 660 - Kill Anyone Who Comes My Way! Chapter 657 - Must Break Through, Break Through! Chapter 654 - You All Get Presents! Chapter 652 - Master Amongst Masters! 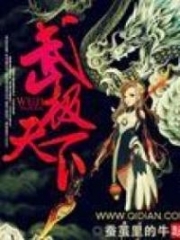 Chapter 651 - Capture Hao Ren! Chapter 649 - The No.1 Demonic Girl In The World! Chapter 645 - Too Easy For This Kid! Chapter 644 - Compete With Me Directly! Chapter 636 - Life Is In Your Hands! 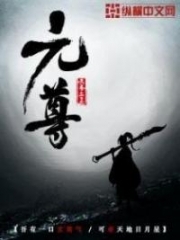 Chapter 635 - Duan Yao! Form The Array Formation! Chapter 634 - Joining Ethereal Summit? Chapter 633 - Cut Off From The Family! Chapter 630 - Herb King Master Showed Up! Chapter 627 - What If I Brought Him In Here! Chapter 626 - Fake Boyfriend?! Chapter 625 - Small Demon King! Small Demon King! Chapter 624 - Comprehending Heavenly Dao With Martial Arts! Chapter 623 - Take Back The Dharma Treasure And Catch A Small Demon King! Chapter 620 - Metal-Elemental Dragon! Chapter 617 - You Are An Insignificant Figure! Chapter 610 - Heavy Loss! Chapter 608 - The Ultimate Essence-Locking Note! Chapter 607 - Shiver! Sky Mountain Sect! Chapter 605 - Have You Grown Tired Of Living? Chapter 603 - The Strongest Shield? Chapter 601 - A Bunch Of Trash! Chapter 598 - Nascent Soul Realm Master!! Chapter 597 - Getting Revenge For Sure! Chapter 596 - Make Peace?! Chapter 593 - Bad Thief! Chapter 591 - A Very Proud Little Girl! Chapter 588 - Big Zhumu! Small Zhumu! Chapter 587 - Life-Death Notes! Demonic Bow! Chapter 585 - Don’T Run! Chapter 584 - Punish With The Sect Rules! Chapter 581 - Punish By The Family Rules! Chapter 579 - Useless Disciple?! Chapter 578 - The More The Merrier! Chapter 577 - Overpowering Two Dragon Clans! Chapter 576 - Inspecting West Ocean! Chapter 573 - Done For! Chapter 572 - Fight Again?! Chapter 569 - Collecting Treasure! Chapter 568 - Supreme... Spiritual Treasure?! Chapter 567 - Battle Of Dharma Treasures! Chapter 566 - Little White, Transformation Scroll! Chapter 565 - Rooting For Brother Ren! Chapter 564 - Showcase Of Power!! Chapter 562 - In Love! Chapter 559 - Who Told You... I Haven't? Chapter 554 - Restarting Lightning Cultivation! Chapter 551 - The Nine Dragon Palace Agreement! Chapter 549 - The Demon… Has Appeared? Chapter 548 - A Club Full Of Beauties..
Chapter 546 - Collect Protection Fee! Chapter 544 - Watch A Good Show! Chapter 542 - The Club! Chapter 540 - Your Cousin Is Powerful? 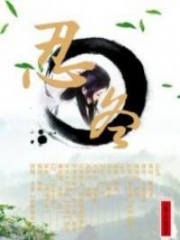 Chapter 539 - I Am Xie Yujia! Chapter 535 - Demon King?!! 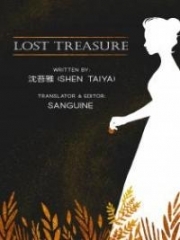 Chapter 532 - A Moving Treasure Vault! Chapter 531 - Who Is More Vicious? 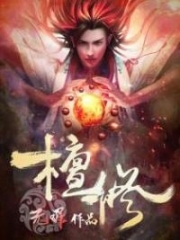 Chapter 529 - Duan Yao, Elixir Pill! Chapter 525 - Fiancée, Fiancée! Chapter 521 - Welcome Master! Chapter 517 - Is That Demon Beast Your Relative? Chapter 515 - Stronger Than Su Han? Chapter 512 - She Is A Big Celebrity! Chapter 509 - Meeting Hao Ren's Friends! Chapter 508 - Everything Depends On Military Power! Chapter 507 - Three Commanding Generals! Chapter 505 - Drastic Changes At West Ocean! Chapter 503 - I Didn’T Let You Hold Me! Chapter 500 - Mind Battle! 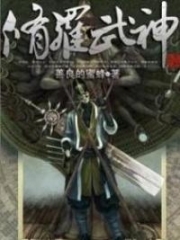 Chapter 497 - Defeat Zhao Kuo! Chapter 496 - Preparation Before Having Children! Chapter 494 - An Item Of The Immortals?? Chapter 491 - Good Alliance! Chapter 489 - Destroy Kongtong! Chapter 488 - How Dare You?! 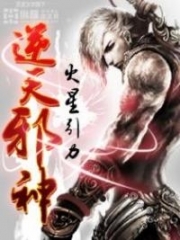 Chapter 483 - Chinese Kungfu! Chapter 473 - Most Shameless… Little White! Chapter 472 - Being Surrounded By Swimsuits! Chapter 471 - Swimsuit Battle! Chapter 468 - Who Dares To Hurt My Family!! Chapter 465 - Entering Dragon God Shrine! Chapter 462 - Helping East Ocean! Chapter 459 - Little Gifts?! Chapter 458 - A Tough Girl! 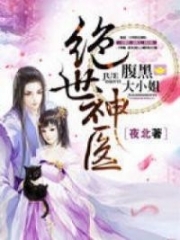 Chapter 457 - Zhao Yanzi Is Mine! Chapter 456 - I Don't Need Your Company! Chapter 455 - Third Uncle, This Is Called Youth! 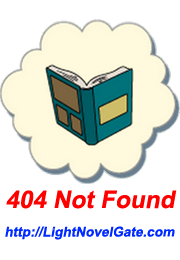 Chapter 452 - Women's Minds Are Hard To Guess! Chapter 449 - Hmph! You Will Repay For What You Did! Chapter 448 - The Sky Mountain Sect!! Chapter 447 - Herb King Valley, Bulletin Board! 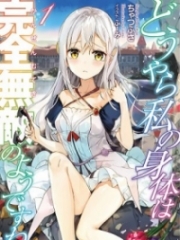 Chapter 445 - Sneaking Into The Sky Mountain Sect? Chapter 442 - Good Girl! Chapter 440 - Are You Single? Chapter 437 - Who Dares To Bully Yujia! Chapter 436 - I'm Drunk!! Chapter 433 - Only Third Lord! Chapter 432 - Treating All! Chapter 425 - Break Your Killing Tribulation! Chapter 424 - Killing Tribulation! Chapter 423 - More Experienced?! Chapter 421 - Third Uncle, Please! Chapter 416 - Powerful Pill Goes With Powerful Person! Chapter 415 - The One Inch Longer, One Bit Stronger! Chapter 414 - Spirit Beast: Do You Have One? 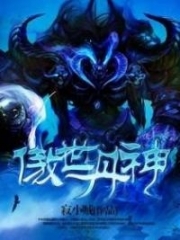 Chapter 413 - Xun-Level, Trump Card! Chapter 412 - Losing For Sure?! Chapter 411 - Watch Uncle Or Third Uncle? Chapter 410 - Won't Go Easy On You! 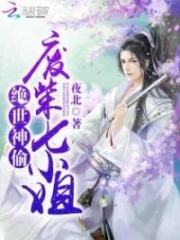 Chapter 408 - Number: Ren Yin 246! Chapter 407 - Win Streak?! Chapter 404 - Identity Or Strength!? Chapter 400 - Top-Tier Mystic Crystal!!! Chapter 399 - Heavenly Dragon, Treasure! Chapter 395 - Hang Out In A Big City!! Chapter 393 - No Match For Su Han? Chapter 392 - I’M Not Her Sister! Chapter 387 - Passion For Cooking And Planting! Chapter 386 - Brothers Indeed! Chapter 385 - Forming An Alliance? Chapter 382 - 1,000 Years Of Cultivation Strength! Chapter 381 - I Trust You!! Chapter 380 - The Commanding General Of East Ocean! Chapter 376 - Can Level 5 Be Arrogant? Chapter 372 - Don't Come Near! Chapter 368 - Standard Rescue?? Chapter 364 - Losing His Temper! Chapter 363 - The Most Powerful Force!! Chapter 362 - I’M Proud! Chapter 359 - High-End Banquet! Chapter 356 - Ultimate Force Of Nature!! Chapter 355 - Natural Treasures Of The Herb King Valley! Chapter 354 - Fight Back! Chapter 353 - Only I Can Kill My People! Chapter 352 - Old Dragon King!! 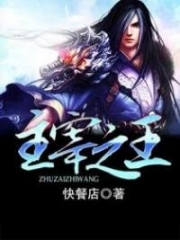 Chapter 351 - Zhao Haoran! Chapter 350 - The Privilege Of Inspectors!! Chapter 349 - What? Not Zhao Yanzi? Chapter 348 - You Still Have An Attitude? Chapter 346 - Lightning Cultivation? 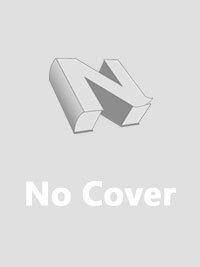 Chapter 341 - Sixth Heaven? Seventh Heaven? 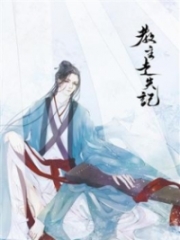 Chapter 339 - Hao Ren Is A Bad Guy! Chapter 337 - Coming Back Home! Chapter 336 - Am I A Senior?! Chapter 330 - Cutting Off?? 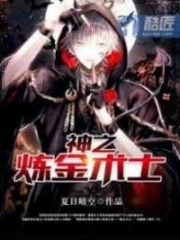 Chapter 329 - Who’S The Big Bad Wolf? Chapter 327 - Who Do I Favor? Chapter 322 - The Change Of Identity? Chapter 317 - Right, Or Wrong? Chapter 315 - Is It My Turn? Chapter 313 - Stupid Uncle! Chapter 311 - Zhen-Level = Master? Chapter 307 - Who Trespassed?? Chapter 306 - Too Late To Cry! Chapter 300 - Little White Is Back! Chapter 298 - Breakthrough! Breakthrough! Chapter 296 - Different Stance! Chapter 294 - A Perfect Match? Chapter 292 - Get Out Of Here! Chapter 287 - Making Beauty Pills! Chapter 284 - Zi Can Cultivate? Chapter 283 - The Dinner! Chapter 278 - Who Is More Powerful? Chapter 276 - Grandma Cherishes You! Chapter 270 - Lightning Cultivation!! Chapter 267 - Trying To Mess With Grandma? Chapter 265 - Beauty Pills? Chapter 260 - Hand Him Over! Chapter 259 - Recruiting Me Into A Club? Chapter 249 - Humph! Bully Her! Chapter 246 - Coming Back?! Chapter 245 - The Weakest Moment! Chapter 244 - Severely Wounded! Chapter 243 - Who Dares To Break Into The Godly Palace?! Chapter 237 - Who Let Down Whom? Chapter 235: We Have Money!!! Chapter 234: Little White Has Its Dignity Too! Chapter 230: Third Uncle Cultivates The Same Technique! Chapter 217: Such A Slim Waist! Chapter 216: Zi Could Blush Too? 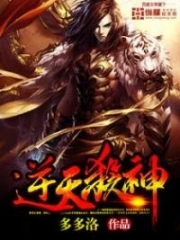 Chapter 214: Coiled Dragon Golden Spear? Seize! Chapter 211: The Weakest Pair Of Partners? Chapter 209: Experience A World With Zi?! Chapter 193: Grand Array Formation, Activate! Chapter 192: The Heavenly Tribulation Activated! Chapter 189: Inspector’S Temporary Help?! Chapter 185: Weakening The Heavenly Tribulation? Chapter 176: Not Attractive At All? 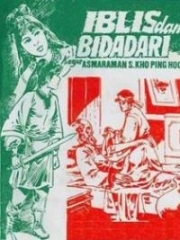 Chapter 175: Natal Dharma Treasure? Chapter 173: Who's More Like The Bad Guy? Chapter 171: Who Does Zi Belong To! Chapter 170: Wouldn't Want A Gold Mountain! Chapter 169: Who To Pick?! 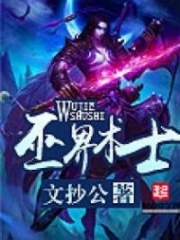 Chapter 168: West Ocean Dragon Palace! Chapter 167: Burn It, Phoenix! Chapter 165: Gold And Jade On The Outside? Chapter 158: I Want To Be Surrounded By Great Grandchildren! Chapter 148: Small Lightning Cloud Tribulation! Chapter 147: The Metal Elemental Is The Strongest?! Chapter 143: Nothing Good Is Coming! Chapter 139: A Talented Artist?! Chapter 138: The Report Card Of Five Elements?! 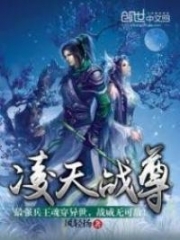 Chapter 137: Sword Cultivation? Lightning Cultivation? Chapter 132: Little Older Brother?! Chapter 126: It’S Not Two-Element Cultivation But Five! Chapter 115: I Just Hate It! 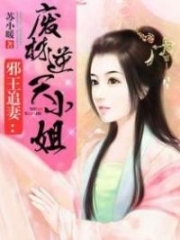 Chapter 114: Zhao Yanzi From Class Two In The Eighth Grade! Chapter 113: Cultivating With Basketball!! Chapter 109: Slim Chance Of Survival! Chapter 108: Was It Really A Breakthrough? Chapter 107: Spare A Hand? Chapter 103: Still Keeping It From Me? Chapter 96: What Are Brothers? Chapter 84: Long Live Fuma Hao Ren! Chapter 83: Just A Broken Temple? Chapter 81: The Dragon Palace? Chapter 79: Who Is Your Girlfriend? Chapter 76: I'm Not Keeping You Company! Humph! Chapter 43: Passed The "Probation Period"
Chapter 74: Assistance From Outside? Chapter 71: You Got It?? Chapter 59: Why Are You So Disrespectful? Chapter 56: The Genes Of A Clever Wife And A Wise Mom? Chapter 51: Not Enough Talent? Chapter 44: It’S Not Jealousy! It’S Inspection! Chapter 40: Who Would Win The Fight? Chapter 34: I’M His Fiancée! Chapter 26: Who’S Holding You Back? Chapter 24: Who Said We Are Not A Family? Chapter 19: Became A Replacement? Chapter 12: Just A Meal? Chapter 6: Bear The Anger Of My Father! Chapter 3: I’M Not A Good Person? Current Time is Apr-25-2019 04:40:29 AM.